Successful businesses rely upon individuals who have chosen to pursue a career in business management. The unique skills provided by these individuals help a business stay operational, profitable, and successful. 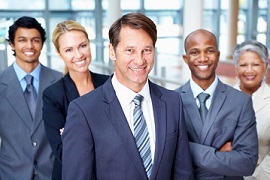 The careers available for individuals who have business management skills are limitless. Businesses of all sizes from Fortune 500 companies to small startups are looking for talented individuals who are ready to fill one of the many business management jobs that are available. If you are interested in pursuing this type of career, here is a look at some of the possible careers that may be of interest to you. An accountant is responsible for overseeing and organizing the financial aspect of a business. These individuals keep track of profits and losses, monitor the finances of a business, handle the company’s taxes, department audits, and even oversee payroll. Pursuing a career as a bookkeeper or accountant may require special schooling. Many businesses require the individual to have at least an undergraduate degree in business administration/management. A master’s degree may be required for some companies. Many companies, especially large Fortune 500 companies, have numerous contracts with dozens, if not hundreds, of individuals, vendors, customers, and clients. A contract administrator is the individual who oversees all aspects of these contractors. The contractor administrator can write up contracts, determine what contracts a company could benefit from signing, outline the terms of a contract, or oversee the bidding process for a particular contract. This individual will also monitor the relationship between the company and the contractor. He or she will make recommendations for changes to contracts and write in any amendments. A manager is an individual who oversees all aspects of a business and makes sure that things are running smoothly on a day-by-day basis. A manager may oversee one small department in a company, several departments, or the entire business. Managers typically make sure employees are working to their fullest potential, that resources/tools are made available so employees/departments can reach their goals, and that operational procedures are followed. No extra schooling may be required for an individual to pursue a business management career as a manager, but this type of career does take strong leadership and communication skills. The potential salary for an individual who wishes to pursue a career in business management will vary depending upon the employer, where the job is located, and the position. People who just enter the business management industry can expect to make approximately $34,000. This is for positions that may include store manager and office manager. Business management careers that require more experience or a specific degree can pay more. Careers such as a financial analyst, market researcher, IT project manager, and business development manager can have salaries that range from $65,000 to $90,000. Some positions, like store manager or office manager, may require individuals to have more work experience than a degree. However, most business management careers require individuals to obtain at least an undergraduate degree in business management. Both online and traditional colleges and universities offer a number of undergraduate and master degrees in business management. The main focus of the degree that is chosen is to teach valuable skills needed to run and manage businesses or companies. Individuals pursuing a degree in business management will have a number of options available when it comes to areas of study. The area of study that is chosen will determine what type of career can be pursued. For example, a student who wishes to become a financial advisor will need to pursue courses related to finance. These courses will teach the accounting and management skills needed to succeed. There are a number of career options available in the business management sector. These are just some of the many careers available to those who wish to enter a career in business management. Think finding a job will be so easy that you don’t need to brush up on tips and tricks that will help you learn how to get a job? You might want to think again. A recent survey conducted by the United States Department of Labor’s Bureau of Labor Statistics suggests that it could take up to 21 weeks to find a new job after a recent job loss – that is approximately five and half months without a job.If you are unprepared to spend five and half months without a job, it is important to learn how to get a job fast. Try incorporating some of these tips and tricks into your job search strategy and you may be able to quickly find a job. Wondering how to get jobs easily? Networking amongst your friends, family members, and even colleagues can help you land a job quickly. The more people who know that you are out of work the more likely you are to receive potential job leads that will land you a job interview. Many individuals tend to limit their job search to one resource. They will look online for newly posted jobs on Craigslist or other job search sites. While there are jobs listed out there on these types of resources, they are limited. If you want quick employment, you need to expand your horizons. Everyone has a resume, but not everyone has a resume that will help them land a job quickly. Before starting your job search, spend time rewriting your resume and making it stand out. This will help in your strategy on how to get a job interview and potentially land a job. You may also want to seek the services of a resume writer who has expertise in this area. Rewrite your resume so that your accomplishments and skills are at the top. Many potential employers take one glance at a resume and determine if they want to proceed to an interview or not. Listing these items at the top will help you get noticed and essentially turn your strategy on how to get a job into a winning strategy.